It will surely have escaped no reader's attention that we are now less than a week away from Easter, that happiest of all days in the Christian calendar. This is the central celebration of our faith. It's a time when we remember the staggering, unthinkable sacrifice that Jesus made for us on the cross; when we rejoice at the earth-shattering power that God displayed when he raised him from the dead; when we recognise once more the forgiveness, power and hope that are ours now because of God's wonderful gift. In this celebration, the cross and the empty tomb are both equally important. Although there are a few places in the UK where Christian postgraduate groups are thriving (have a look at the list on cpgrad.org.uk to find one near you), there are many cities and universities where there is no such group. This blog is one attempt to provide an online community. In the US, InterVarsity’s Graduate & Faculty Ministries faced a similar situation, and they found a similar solution! It’s called the Emerging Scholars Network. Considering how ‘imposter syndrome’ might relate to life as a Christian in academia. Read more about Christian imposters? Read more about God's workers? In a previous post on the German poet Rilke, I concluded that art can help the Christian scholar ‘to acknowledge and work under the supreme agency of God in the world’. Today I want to go a bit deeper into what that might mean. Rudi Hayward reviews A Shot of Faith to the Head. Bruno Medeiros, a social psychologist at Cambridge, reflects on the importance of being deeply attentive to the world that we study. 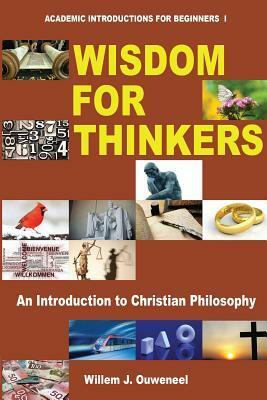 For Christmas a year ago I was given a book called ‘Wisdom for thinkers: An introduction to Christian philosophy’. It’s not a very thick book – under 200 pages – but fairly dense. So, having just finished it, I thought I’d tell you about it.